This needs to be killed with fire soooooo bad. As much as I applaud them for trying to use more actual words, Tales of Favorite sounds soooooo Engrish. 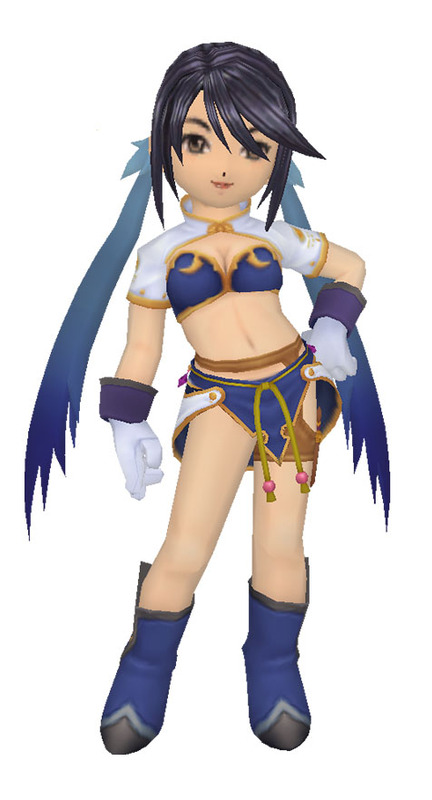 Honestly, they had that bit about how Tales of Graces was almost named Tales of Floria or some such and all I could think of was 'why not Tales of Flowers? That would be a perfect name for that game." That Ludger outfit on Kratos fits remarkably well. Do want. And at least the name Tales of Graces kinda ended up fitting, what with it being tales about certain graces. But yeah, Tales of Favorite, even with a s where it might make some modicum of sense, is pretty bad. Tales of Favorites is either a browser game or something about facial hair. Yeah, I wouldn't say that Tales of Favorite is my favorite Tales of working title. Welp. We got something out of Link. I think I'm going to go ahead and believe in the sign of ToZ. Have a Tales of Summary and a Tales of Phantasia 'now with DLC' iOS edition too. Tales of Zestiria trademarks seen for EU and NA. I wonder if they're going for a somewhat "simultaneous" (i.e. ; <1 year) release at this rate. So what? Is this a cross-universe game featuring all the Wonder Chefs in their alternate food dimension? I'm as excited as I can be for a new Tales game I know nothing about, I just think they could be a lot better about naming these things. English trailer for Xill2 and fancy pocket watch and necessary "Epic Latin Choir" music to make things super exciting. I feel bad for Sakuraba that he has to score these games. Symphonia Chronicles CE announced. Don't know if it'll make it to PALand but for $100 (+tax) big ones you'll get a game, an expensive coaster, five figurines, a soundtrack CD, a fix-fic manga, and a nice box. Unfortunately, the Xillia CE was only just ever so barely worth it to begin with for me, there's no way in hell am I getting this. Symphonia was a good game and all, but a) I already have a copy on the GCN, b) none of the feelies are that worth it (well okay, the soundtrack might be, but Symphonia's character designs were more miss than hit to me, and FtNW's designs can go die in a fire for all I care), and c) I can't imagine them fixing From the New World to the point of becoming worth playing. Pretty cool to see an HD collection/remake get such a fancy collectors edition if you ask me. The claims of only 15000 units will being available makes this a "pick up a second and keep it in the shrinkwrap" level CE if you ask me! Fancy box just takes up too much space (and while UFOTable are a great animation studio, their "style" is kinda superficial to me). I guess I'm curious about the novel, but nothing more than that. Yeah, I'm probably sitting out of this CE. This is made worse if the game by itself is going for that "HD Price Tag" of $40-50. I really, reallly don't wanna pay an extra $50+ for some assorted goodies.